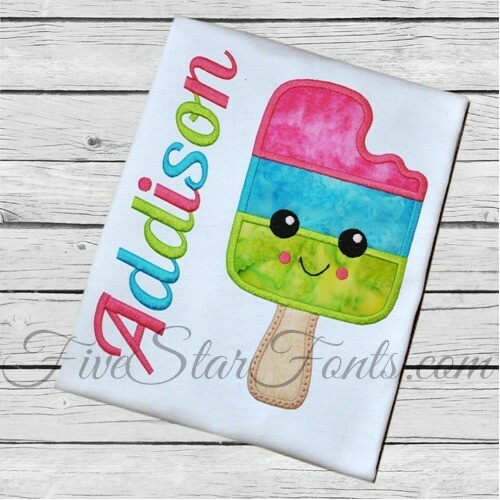 Perfect for summer stitching, our darling Popsicle Applique is sure to be a hit. It's simply sweet and FAST too, just 4 pieces of fabric. We used our 'Blackberry Embroidery Font' to add Addison's name. You can find the link to this darling font in 'Related Products' Tab above.